This was a top I put together last year, in the Rainbow Scrap Challenge. I found a piece of batting in my bag that was the right size, and a piece of fabric from a previous quilt that was big enough for the backing. 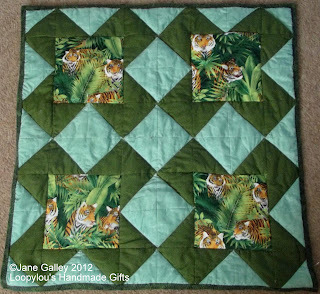 I did quilt in the ditch around the tiger squares, and then the outline of the darker green. I've put hanging triangles on the top corners, so all I need to do now, is hang it. 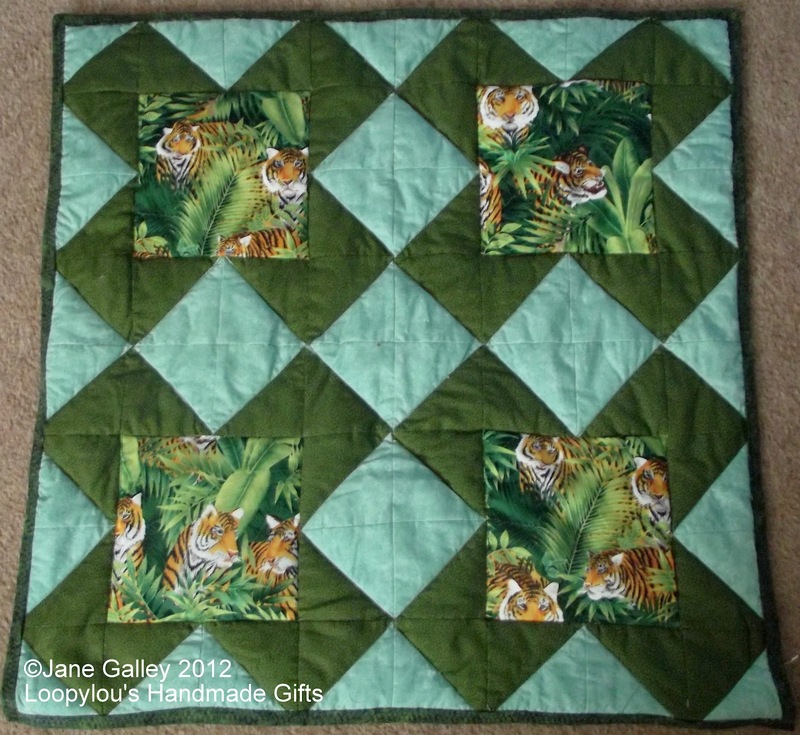 There is still a larger quilt with tigers to do, but that will have to wait a bit longer. Very effective use of that tiger print. Nice finish! I remember you showing the tigers. Good job to get it finished. More Finishes woohoo. I hope all this finishing is inspiring you to try more. Like the tigers! You are a wonder at this. I love the greens.